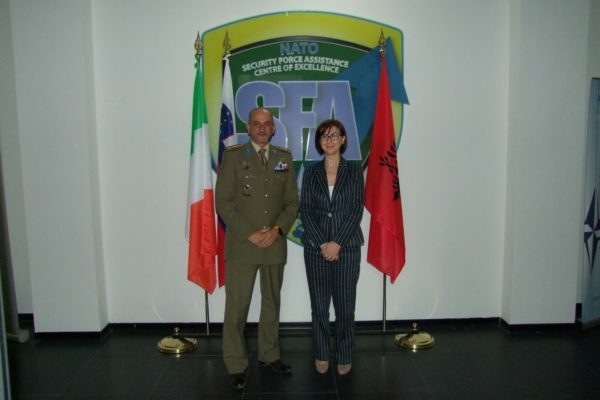 In the afternoon of Friday the 5th of October, the Director of the Centre for Excellence for Security Force Assistance, NATO SFA COE, received the Ambassador of the Republic of Albania in Italy, S.E. 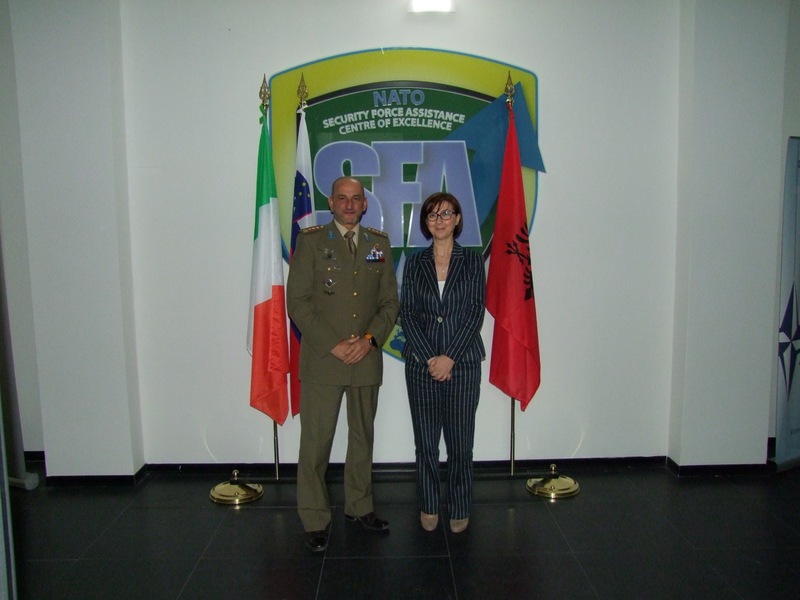 Anila Bitri Lani, accompanied by the Albanian Defence Attaché in Italy. 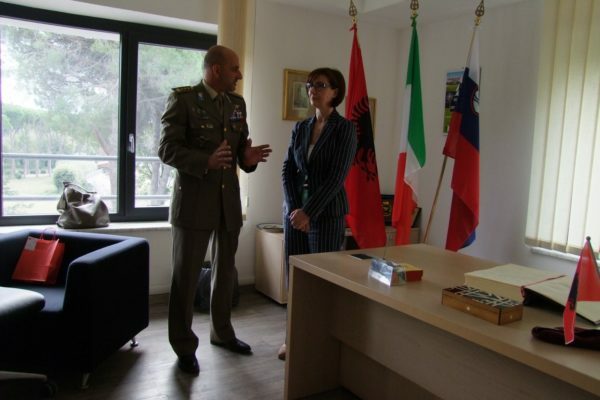 Albania was the first nation to strongly support the Italian initiative and, together with Slovenia, to be one of the Memoranda of Understanding signatories on December 13th, committing to converge national interests in one direction and to undertake a common line of action to analyse the issues in the field of Security Force Assistance. Albania is already present at the Centre with one of its officers who, since last month, has assumed the position of Head of the Lessons Learned Department, the Ten. Col. Defrim Haxhija. The visit gave the opportunity to the Director of the Centre to illustrate to the Ambassador the activities carried out for the creation of the Centre and the already started and future projects to be developed in the International field, such as the Workshop on Advising as a capability for SFA, that will be held during the month of December in Rome and organized entirely by the Centre. During the visit, the structure of NATO SFA COE was illustrated and in particular its role as an International and Multinational Organism and what are the relationships that bind it to the Atlantic Organization and the possible areas of cooperation with the main International Organizations. 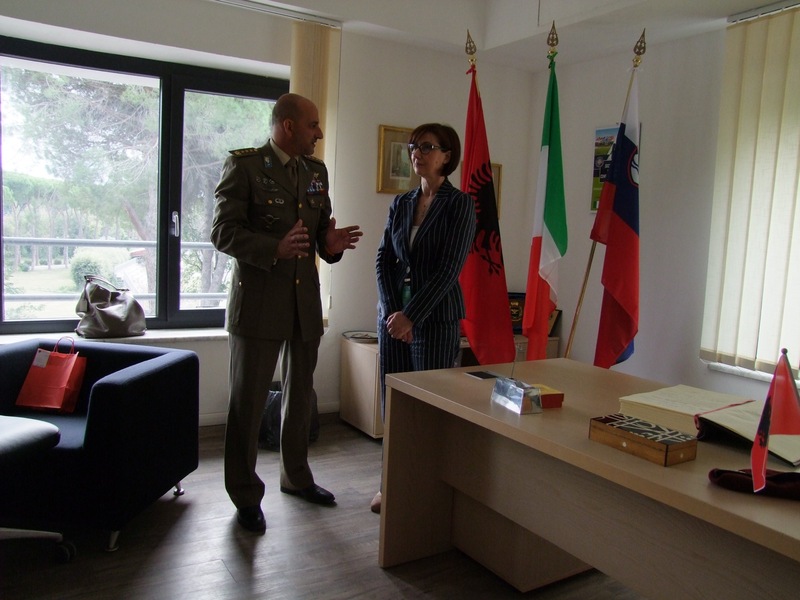 The Ambassador, Anila Bitri Lani showed great interest in the Centre and its activities and was able to congratulate the Italian staff and the Albanian officer for the work done and the initiatives undertaken. She also stressed that Albania is very proud for having supported the Italian initiative, a country that boasts a long collaboration and a great friendship with Albania, especially in times of past difficulties and future growth. This visit underlines once again the importance that the Centre, not only for Italy, has in the international context to support the entire Atlantic Alliance and in collaboration with partner nations. 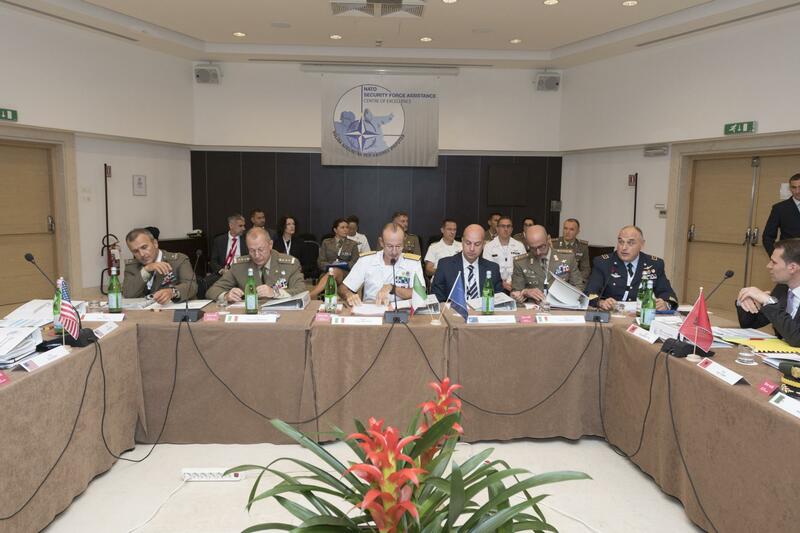 Conclusa la 2nd Establishment Conference che segna un nuovo passo in avanti per l’accreditamento alla NATO del centro offerto dall’Italia.